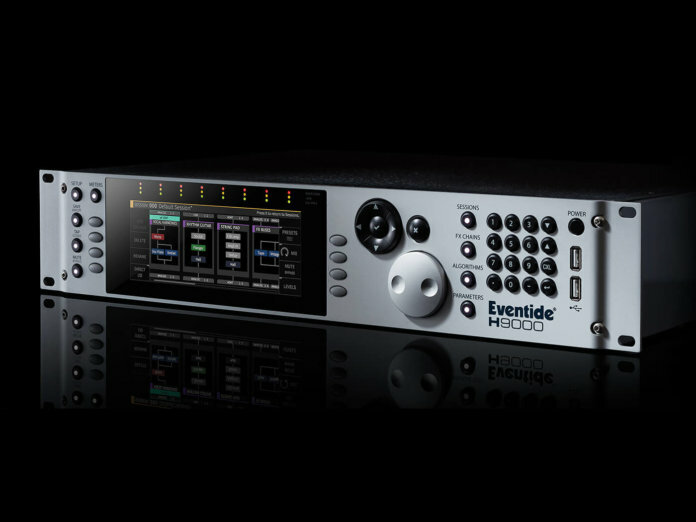 Eventide has released a major software update for its H9000 and H9000R multi-effects processors. Version 1.1 brings about vintage effects, a new surround algorithm and expanded DAW compatibility for emote, the units’ remote control application. If you’re a musician or composer looking for creative options, this update has got you covered. It gives you access to a new bank of H9000 vintage emulations that span Eventide’s most popular effects. These include the H3000 Micropitch, Unitide, SP2016 Reverb, Instant Phaser Mk II and Instant Flanger Mk II. The H9 bank is also bolstered by a new algorithm: the HotSawz, which is a pitch-tracking, monophonic synth engine. And speaking of banks, v1.1 comes with a new 3D Tools bank designed to take advantage of the H9000’s multi-channel architecture. This bank is loaded with Eventide’s first-ever surround algorithm, the 5.1 Panner. The H9000R and H9000R retail at $6,999 and $4,999, respectively. More information at eventideaudio.com.